Florence is a wife and mother of three living with her family in Atebubu, Ghana. Her two older children have successfully completed school and are working. She is a trader in the local market selling clothes and fabrics as well as crates of eggs. Florence and her husband work hard to take care of their youngest child who is in nursing school. She has been in business for ten years and purchases the clothes from Kumasi and Togo. Over the years Florence has built a good customer base and is striving to meet the growing demands of her customers. She will use her loan to invest in her business. 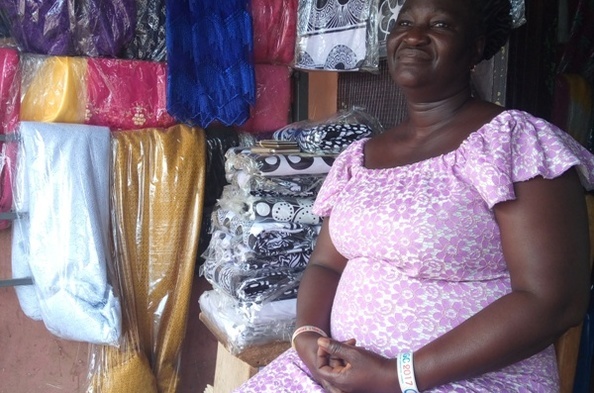 Florence hopes to grow her business and support her last child through school.